This month on A4NH’s Gender-Nutrition Idea Exchange, we continue our series of blogs on the second phase of the Gender, Agriculture, and Assets Program (GAAP2). GAAP2 aims to develop a validated indicator to measure women’s empowerment in agricultural development programs (pro-WEAI) which includes a nutrition-specific module to be used by programs with nutrition outcomes. In this blog, GAAP2 team members, Jessica Heckert and Sunny Kim, who are developing this nutrition module, share some highlights of the discussions that took place in the nutrition working group at the GAAP2 Inception Workshop. Since the launch of the Women’s Empowerment in Agriculture Index (WEAI) in 2012 and later its abbreviated form (A-WEAI), it has been widely used to measure and understand women’s empowerment and inclusion in the agricultural sector. Owing to the demand from agricultural development projects for a tool that can be used to measure empowerment in a project setting, the next phase of the WEAI includes adapting and validating the tool for use in agricultural development projects (pro-WEAI). Pro-WEAI will include indicators that are relevant for specific types of agricultural interventions (e.g., crops, livestock, irrigation, natural resources) and sensitive to change during a project lifespan, typically three to five years. Also, as many agricultural projects aim to improve nutrition, an important question to consider is: how can pro-WEAI become nutrition-sensitive? How would measures of women’s empowerment for nutrition-sensitive agricultural projects differ? Increasingly, agricultural development projects incorporate nutrition-sensitive designs and address the underlying causes of undernutrition, including food insecurity, poor healthcare, and inadequate resources for optimal care of children (Ruel et al., 2013). To understand if women’s empowerment is changing in the context of agricultural interventions, we must be able to identify the aspects of women’s empowerment related to nutrition and measure them, not only with regard to production and the agricultural sector, but also as they are related to access and use of food, health services, and caregiving at the individual, household, and community levels. This involves considering women’s empowerment beyond its relationship to increased production and income, and identifying additional pathways of influence that can improve the health and nutrition of beneficiaries of agricultural development projects (PDF 343 KB). Such dimensions may lie outside the purview of traditional agricultural programming, yet have been shown to be key to achieving good nutritional outcomes. 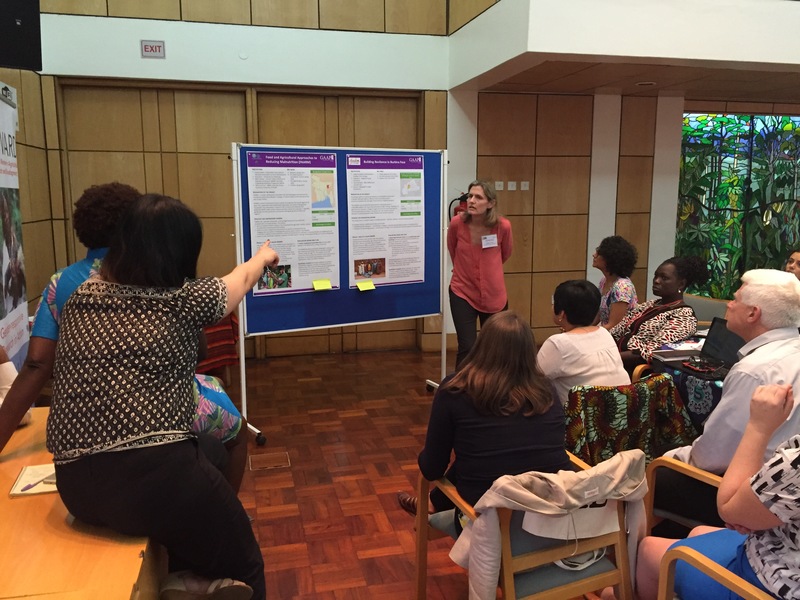 At the GAAP2 inception workshop in Nairobi, program implementers and evaluators voiced the types of women’s empowerment indicators that they need for their nutrition-sensitive interventions. Women often face barriers to optimizing nutritional inputs, and these barriers differ from those they face when participating in production activities. Social norms may dictate who has first access to food, what women and children can eat, and how or when healthcare is accessed. Moreover, intra-household dynamics may enhance or limit whether women’s empowerment in agriculture translates into improved nutrition. Across project sites in South Asia and Africa South of the Sahara, practitioners expressed the importance of women’s access to and control over resources, and their input into decisions that matter for improving their own nutrition as well as that of their children and families. For instance, a pregnant woman in Bangladesh may be influenced by her mother or mother-in-law to consume less food, in the hopes of a smaller baby and easier labor. Or, despite her primary role in raising poultry, a woman in Uganda may be instructed by her husband to sell all the eggs rather than to reserve some to feed them to her young child. Across these various contexts, workshop participants agreed that indicators to capture women’s empowerment related to nutrition are needed. 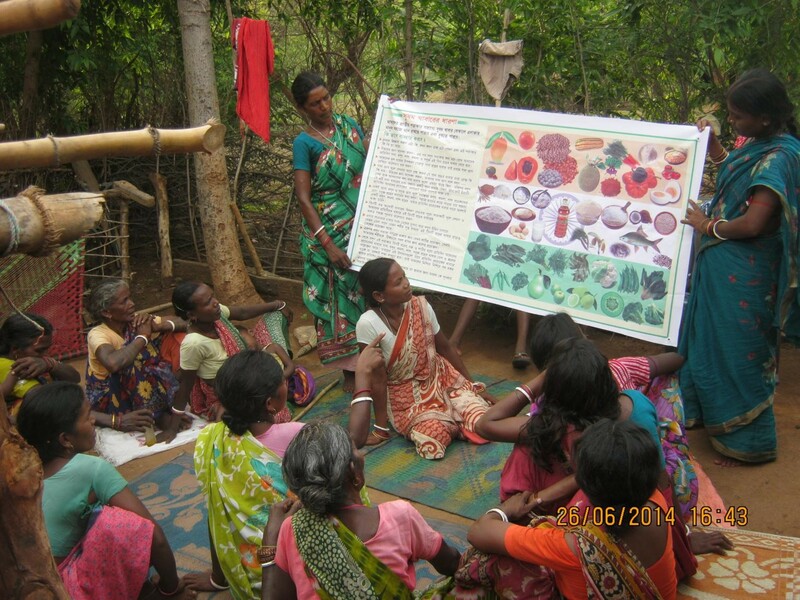 Improving nutritional outcomes involves empowering women across multiple domains. Undernutrition is a result of poor diet and illness, which are caused by underlying conditions of food insecurity, inadequate health services, unhygienic environments, and inadequate care (UNICEF, 1990). Any areas of women’s empowerment that directly affect nutrition would operate via their influence on these domains of food, health, and care. Thus indicators should emphasize the control of inputs and the social dynamics around these domains. Working groups throughout the workshop highlighted the domains in which women may be empowered or disempowered to optimize these inputs. We began to unravel these pathways and discussed how we might go about measuring them. For example, food inputs may rely both on women being able to produce nutrient-rich foods and whether they can allocate the nutrient-rich foods that they produce to household members in need of these nutrients. Seeking preventative and curative healthcare, important inputs for improved nutrition, may depend on women’s freedom of movement, access to resources to pay for services, and intra-household dynamics that dictate whether women can make these decisions. Whereas many other aspects of women’s empowered may be associated with nutrition such as maternal autonomy and attitudes about domestic violence (van den Bold, 2013), their importance is not unique to nutrition outcomes and may be included in other domains of pro-WEAI, or as other project indicators. While various surveys including the Demographic and Health Surveys and Feed the Future Surveys collect data on women’s empowerment, these large surveys are often limited in the number of indicators they collect (Heckert and Fabic, 2013). Thus there are still large gaps in terms of the data necessary to understand the complex relationships among nutrition-sensitive agricultural interventions, women’s empowerment, and nutrition. 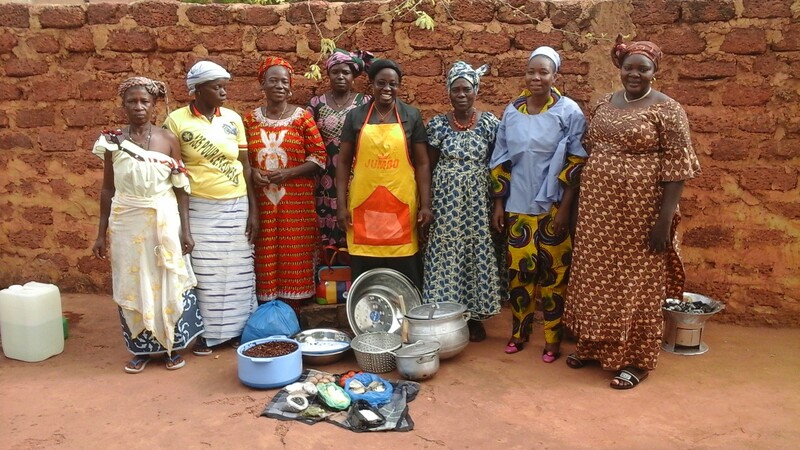 The development of a nutrition-specific module within pro-WEAI and the collection of related data provides a unique opportunity to better understand the relationship between women’s empowerment and nutrition and identify the types of interventions that empower women and improve nutrition outcomes for women, children, and their families. Heckert J, Fabic M (2013). Improving Data Concerning Women’s Empowerment in Sub-Saharan Africa. Studies in Family Planning, 44(3):319–44. Ruel MT, Alderman H, and Maternal and Child Nutrition Study Group (2013). Nutrition-sensitive interventions and programmes: how can they help to accelerate progress in improving maternal and child nutrition? The Lancet. 382(9891): 536-551. UNICEF (1990). Strategy for Improved Nutrition of Children and Women in Developing Countries. New York: UNICEF. 1990.
van den Bold M, Quisumbing AR, Gillespie S (2013) Women’s empowerment and nutrition: an evidence review. International Food Policy Research Institute Discussion Paper. #01294. This post is part of a blog, the Gender-Nutrition Idea Exchange, maintained by the CRP on Agriculture for Nutrition and Health. To add your comments below, please register with Disqus or log-in using your Facebook, Twitter, or Google accounts. You must be signed-in or registered in order to leave a comment.